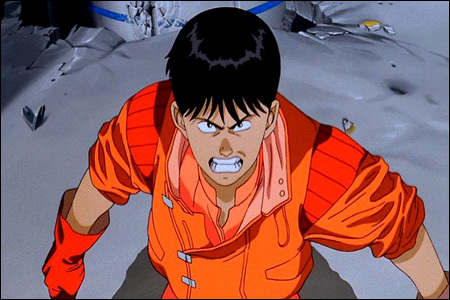 According to Variety, Warner Bros. currently has plans are underway to produce two live-action feature films based on Katsuhiro Otomo's manga classic Akira, the first of which is being fast-tracked for release in summer 2009. WB takes franchise turn with 'Akira'. Leonardo DiCaprio and Joseph Gordon-Levitt are rumored to be attached. I can't see it. I just can't. Part of me is simply resistant because the 1988 anime film is such a masterpiece, and ingrained into my consciousness. But what really bothers me is that Neo-Tokyo has been completely ditched for this film. The story instead takes place in New Manhattan, "a metropolis that was rebuilt after being destroyed 31 years earlier." So much of what I love about Akira has to do with with issues inherent to its Japanese settinggrappling with anxiety over technology, disaffected youth, living in the post-nuclear age. That's Neo-Tokyo to me, baby.